Seven fun math activities introduce young children to math. Millie the Moose is a great teacher of math for young children. This classic in children's software is one of the best titles to use to introduce preschoolers to early math. Youngsters play with Millie (a moose) in seven different activities which teach number recognition, counting, beginning addition and subtraction, size and shape discrimination, and patterns. Children can learn to count by placing jelly beans on virtual cookies, or by selecting the number of crazy parts to place on a virtual bug. 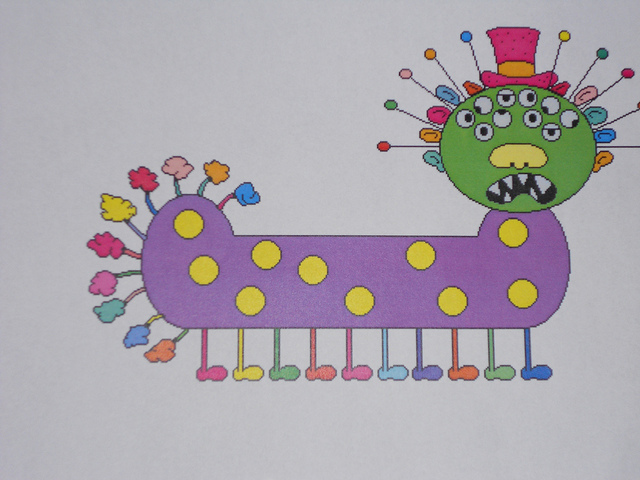 There is nothing like ten rolling eyes and seven wiggling antennae to help motivate a child to count. Each activity in this program is well thought out and dedicated to teaching young children how to learn in a fun and supportive environment. Good preschool software should create a learning environment that doesn't allow failure, and Millie's Math House does just that. This title works equally well in a classroom or in a home.